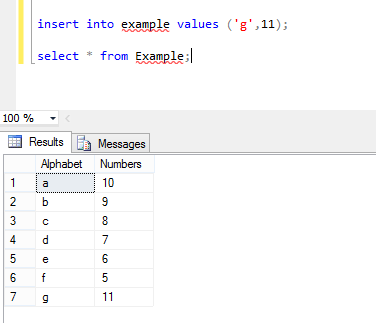 I am trying to sort by multiple columns in SQL, and in different directions. column1 would be sorted descending, and column2 ascending. 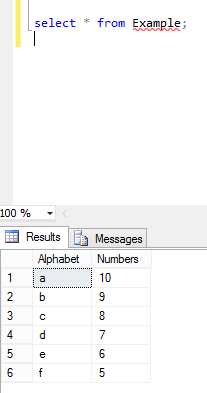 This sorts everything by column1 (descending) first, and then by column2 (ascending, which is the default) whenever the column1 fields for two or more rows are equal. 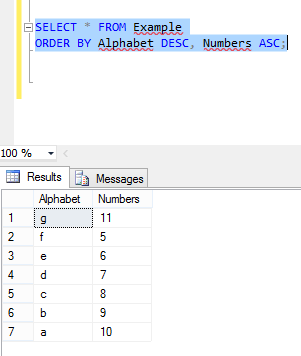 Multiple column ordering depends on both column's corresponding values: Here is my table example where are two columns named with Alphabets and Numbers and the values in these two columns are asc and desc orders. You can see the values in the first column are in desc order but second column is not in ASC order. Not the answer you're looking for? Browse other questions tagged sql sql-order-by or ask your own question. 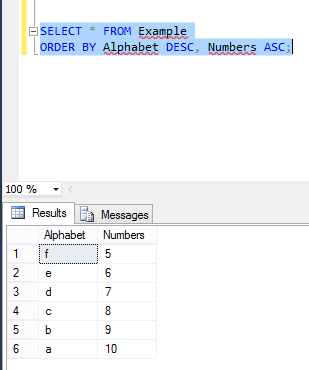 Q: SQL statements? Where to put Order by? PostgreSQL: ordering based on another column if there's a tie?